THE SCHOLARSHIP PROGRAM HAS CLOSED FOR 2018. 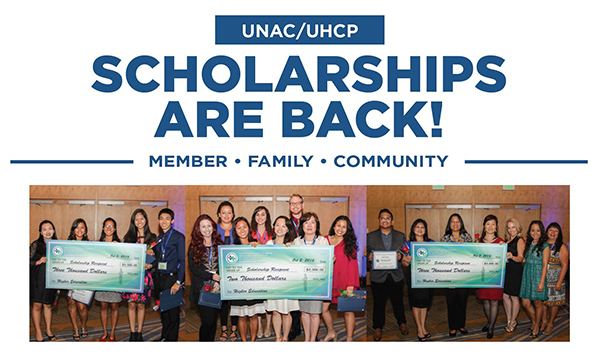 Applications are now open for the 2018 UNAC/UHCP Scholarship program. Applications can be submitted until May 18, 2018 at 11:59 pm Pacific Time. All scholarships will be awarded to students enrolled in a degree program or continuing education courses in a health care field at an accredited college, university, trade or technical school. Student must be enrolled in classes this fall, any time between September 1, 2018 and December 31, 2018. All applicants must have an overall GPA of 3.0 in order to apply. If an applicant is not currently in a degree program, applicant GPA in the last completed degree program must be at least 3.0. Applicants may only apply for one UNAC/UHCP scholarship in any given year. If applicants are found to have applied for multiple UNAC/UHCP scholarships in one year, all applications will be disqualified from consideration. Applicants will be notified of status in early August. Awards will be paid to the college or university in which the recipient is enrolled, and must be disbursed in September 2018. For questions about the application or scholarship claims process, please reach out to our scholarship team. Each year, we rely on dedicated volunteers from all UNAC/UHCP affiliates to help us review scholarship applications. 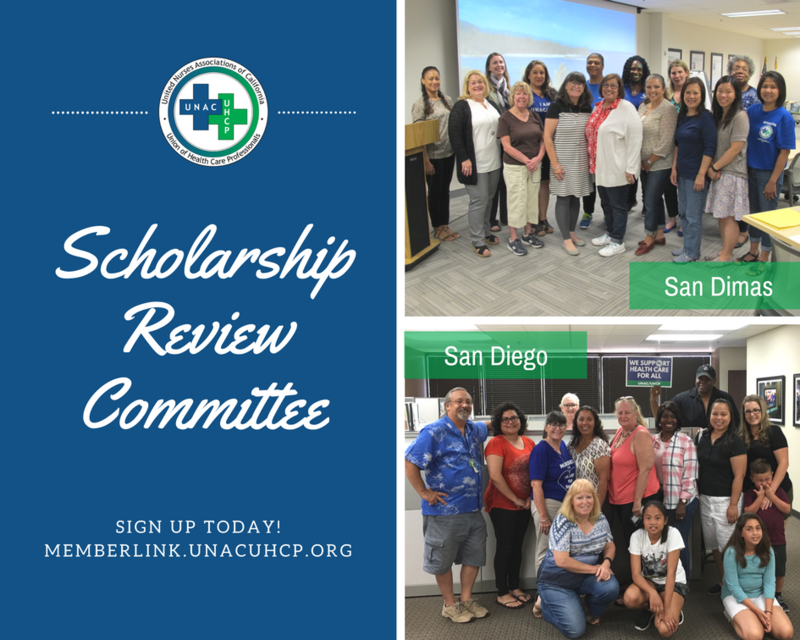 The scholarship review committee is your chance to do your part for the future of health care in our union and in our community. 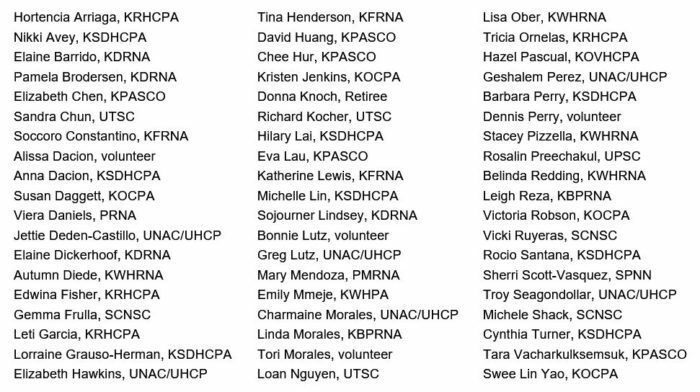 The UNAC/UHCP scholarship program will be reviewing scholarship applications this summer. This year, we will once again have options for reviewing scholarship applications, so that even more member volunteers can take part in this inspiring activity. Volunteers can review scholarship applications by mail, email or in-person. Sign up today at memberlink.unacuhcp.org! Special thanks to last year’s Scholarship Review Committee! This program would not be possible without all our wonderful volunteer reviewers.